Success! Anny Sanic from Guatemala raised $1,487 to fund eye surgery. 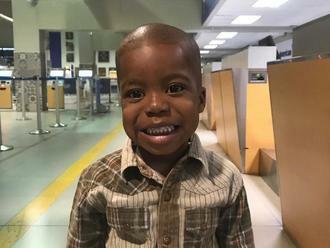 Anny Sanic's treatment was fully funded on November 25, 2018. Anny Sanic underwent eye surgery. 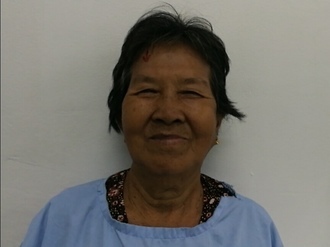 Following her pterygium surgery, Anny no longer has problems with her right eye. Her parents are relieved that Anny is healthy and can continue growing without any complications to her vision. Anny Sanic is a very enthusiastic and fun four-year-old girl from Guatemala. She lives with her mom and dad and loves to play with her dolls. She also loves to eat lots of bread and sing songs. Anny Sanic needs pterygium correction surgery. Pterygiums are non-cancerous growths of the conjunctiva, a mucous layer that lubricates the eye. The growths occur when the conjunctiva is exposed to excessive sun damage and the cells grow abnormally over the pupil. Common symptoms of a pterygium include redness, blurred vision, and eye irritation. Depending on how large the growth is, it can cause vision loss. Anny Sanic needs a surgical procedure to remove the abnormal conjunctiva from the cornea surface and replace it with a conjunctival graft to prevent recurrence. 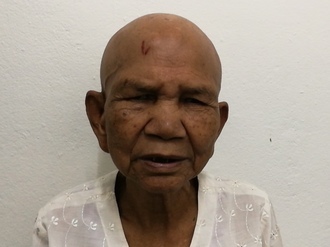 She will receive further evaluation from an eye specialist, surgery to remove the pterygium, post-op follow-up treatment, as well as accompaniment and transportation throughout the treatment process. Pterygium surgery is safe, effective, and will positively impact Anny Sanic’s life for years to come. The total cost of her procedure, scheduled for October 18, is $1,487. Anny Sanic's case was submitted by Adriana Sánchez at Wuqu’ Kawoq in Guatemala. Anny Sanic was submitted by Adriana Sánchez at Wuqu’ Kawoq, our medical partner in Guatemala. Anny Sanic received treatment at Intituto Panamericano. Medical partners often provide care to patients accepted by Watsi before those patients are fully funded, operating under the guarantee that the cost of care will be paid for by donors. Anny Sanic's profile was published to start raising funds. Anny Sanic's treatment was successful. Read the update. Anny Sanic's treatment was fully funded. Common symptoms of a pterygium include redness, blurred vision, and eye irritation due to the growth that covers the white part of the eye. Many also feel burning and itching. Depending on how large the growth is, it can cause vision loss. Pterygium leads to persistent redness, inflammation, constant tearing, and dry and itchy eyes. It is extremely uncomfortable and advanced cases can cause limited or loss of vision. In Guatemala, losing vision can end a career, ruin a family’s financial security, and of course majorly impact quality of life. Low vision is a problem anywhere in the world. In Guatemala it is a massive problem, because many people depend on their eyesight to be able to work. Guatemala is also closer to the equator, and as such the UV exposure is stronger. Treatment for this condition involves consultation with a trusted eye specialist. Surgery is usually a simple affair, requiring just a day or two in the hospital. Before and after eye surgery, drops are usually needed, which are quite expensive. The entire process typically takes two to three months to complete. This treatment saves vision, which in turn helps affected individuals live healthy happy, and productive lives. This condition is very treatable. Response to treatment is usually dramatic, and exceedingly gratifying to watch. Vision is saved. Although rare, risks of surgery include swelling, double vision, eye redness and infections. Sometimes the growth returns. There are no eye surgeries available through the public system. There are several good private clinics, including the ones our medical partner uses, but the very high cost of treatment keeps people from getting care. There are not many alternatives. As is often the case in Guatemala, specialists and treatments are readily available in urban centers – if you can pay for them.